Face the Nation ranked No. 1 in total viewers this past week, though the broadcast was -15 percent in the category vs. the comparable Sunday in 2017 (Oct. 8). 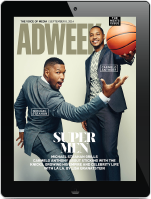 The broadcast was also -18 percent in A25-54 viewers versus last year, and ranked No. 2 in the category. John Dickerson filled in for Margaret Brennan (presently on maternity leave), the Oct. 7 edition of FTN featured an interview with Maine Republican senator Susan Collins, a key figure in the confirmation of Judge Brett Kavanaugh to the US Supreme Court, as well as a critically acclaimed interview with Senate Majority Leader Mitch McConnell. NBC’s Meet the Press with Chuck Todd earned its 36th consecutive Sunday public affairs show win among adults 25-54, which is the demo most valued by TV news advertisers. That’s the program’s best streak in 11 years. On the downside, the broadcast was -21 percent in the category vs. its A25-54 delivery on the same Sunday last year. The broadcast, ranked No. 2 in total viewers, was -5 percent vs. last year. 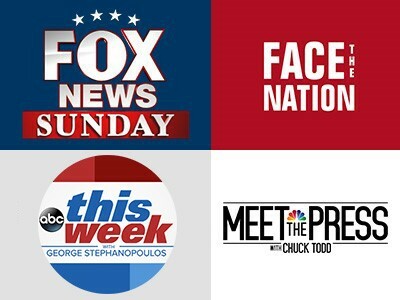 MTP did not air as planned in the Chicago market, yet it continued to dominate in the Washington DC market, winning there every Sunday it has aired since March 2015. ABC’s This Week with George Stephanopoulos ranked No. 3 this past Sunday, both in total viewers and the A25-54 demo. The broadcast posted significant year-over-year declines. Fox News Sunday hosted by Chris Wallace was the sole Sunday public affairs show to posted year-over-year audience growth (+6 percent). As was the case with its competition, the broadcast was way down in the A25-54 demo (-25 percent year-over-year). In addition to the first-run broadcast on Fox, the trio of Fox News replays delivered a combined 3.27 million total viewers and 580,000 A25-54 viewers. Altogether, that’s 4.65 million total viewers and 927,000 demo viewers for FNS on Oct. 7, 2018. Editor’s note: Face the Nation’s second half-hour was broadcast contiguously across 66.34 percent of CBS affiliates.